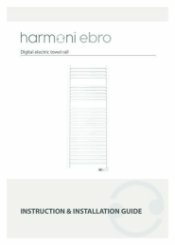 Why choose Harmoni Ebro HS electric towel rails? I love the towel rail. It works well and was dead easy to install. I'd had a smaller one so already had fitting holes though my tiles, and didn't want to drill more holes if it could be avoided. No need to worry. The fittings on this rail are adjustable so didn't need to drill and more. The only drawback is that the timer module seems to have infinite variations and appears very complicated to set. Having said that, it does have an easy 'MANUAL' setting so you can adjust it as you wish. If you are out at work all day and have a set routine to your bathroom use, then study the manual and work out which variation of the settings is more use to you. My tip is to scan and copy the relevant page and blow it up about 400% to a more normal type face so it can be read without strain. I've found this really helps with complex instructions. Having said that, I'm in all day and want the heater ON. It's bloomin luverly in there now. Brilliant, wouldn't hesitate to use again. Fastest service ever experienced from an online retailer. Seriously, I was astonished that my order arrived in less than 24 hours. It was in perfect condition too. 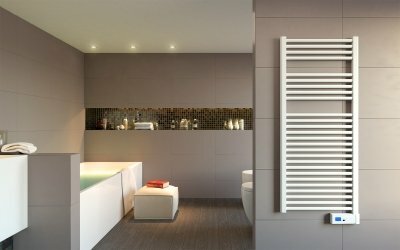 Where can my bathroom towel radiator be positioned in the bathroom? 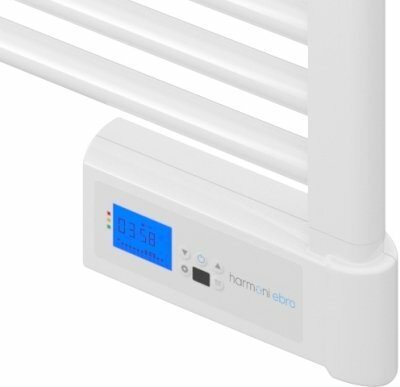 Your bathroom towel radiator installation will have to comply to the latest electrical regulations. Call us on 01473 276686 and we can advise you on the best position for heating and safety. Why are the top bars of my heated towel rail cooler than the rest? Will a towel rail heat my bathroom? 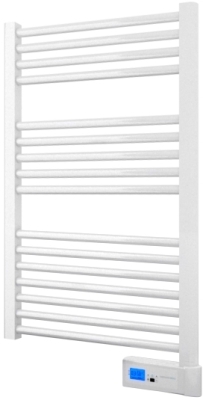 An electric towel rail may heat your room but it really depends on the size and heat loss of that room. Why not contact us on 01473 276686 and we will calculate the correct heating appliance for your application. Will a towel rail switch on and off automatically? We have various towel rails within our range, some of which have time clocks and can be programmed to heat as required. Will my oil filled towel radiator be expensive to run? Good question! Your oil filled towel radiator can be adjusted to be as efficient as required, this will of course effect your heat output. If you call our technical department on 01473 276686 we will assist you in maximising your appliance efficiency.